Digging into Data is a grant program sponsored by several leading research funders from around the world (see each round below). Teams of researchres from at least two different participating countries send in grant applications. These applications are reviewed by an international peer review panel. The Digging into Data Challenge was sponsored by four research funders (NEH, NSF, SSHRC, Jisc) representing the US, Canada, and UK. Eventually, 8 international projects emerged as winners. Many of these projects were written up in publications such as the New York Times and were the subject of a major research report published by CLIR. All 8 projects presented their work at a conference in Washington, DC in June of 2011. Four additional funders joined the DiD ranks (IMLS, AHRC, ESRC, NWO) and the Netherlands joined as a fourth country. At the end of Round Two, 14 projects won awards, chosen by our international peer reviewers. These 14 presented their work at a conference held in Montréal, Canada on October 12, 2013. Another two funders joined DiD (CFI and NSERC), bringing us to a total of ten. At the end of Round Three, 14 projects won awards. The Digging into Data Challenge is renamed the "T-AP Digging into Data Challenge" and is now co-sponsored by T-AP, the Trans-Atlantic Platform for the Social Sciences and Humanities. Under the umbrella of T-AP, eight new funders have joined the program: Argentina (MINCyT), Brazil (FAPESP), Canada (FRQ), Finland (AKA), France (ANR), Germany (DFG), Mexico (CONACYT), and Portugal (FCT). Digital libraries, archives, and museums are an important part of Digging into Data. These are the organizations that create, store, curate, and preserve the digital data studied by researchers. We maintain a list of such data repositories that make their data available to the Digging research teams. See the full list here. 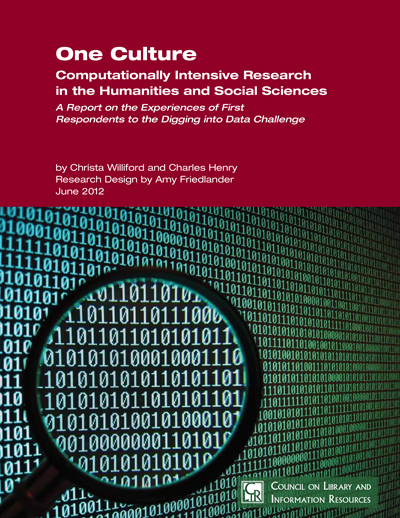 The Digging into Data Challenge is being administered by the Office of Digital Humanities at the National Endowment for the Humanities. To contact ODH with any kinds of questions, please send us an e-mail. If you have funder-specific questions, please see the specific contact information found in Main RFP. Below are various Digging and T-AP logos for download. They are free to use.